Stars to perform in Malaysia! Apart from the main competitions, the Ministry of Tourism and Heritage has also decided to bring in the world famous “Stars of Florida Waterski Show Team” to wow the holiday makers and water sports enthusiasts from Malaysia and visitors from all over the world. The ladies of Stars Of Florida performing the part in their ski show in Korea. 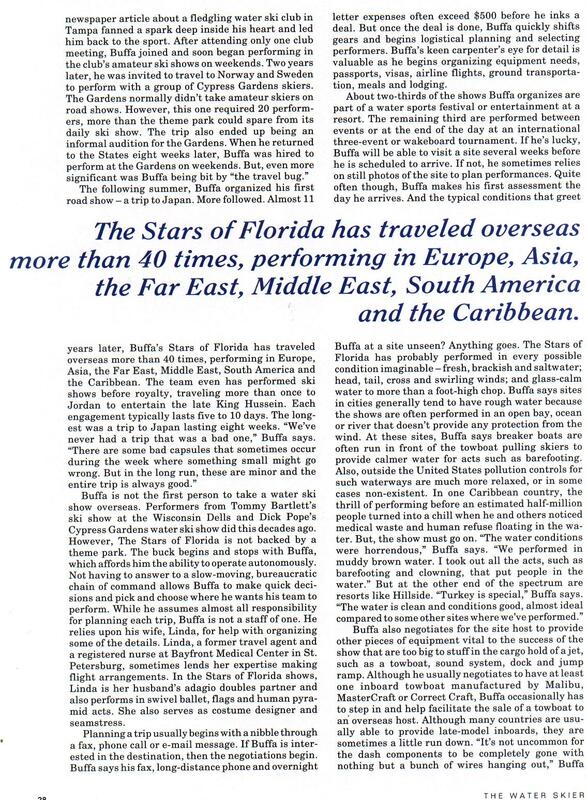 Reporter: Mr. Buffa this is the Stars Of Florida’s first visit to Korea? Don:..
Shows in Korea went great. Met many new friends. Talks have begun for a return to another location next summer. We..
Share this on WhatsAppShows in Bogota went great. Stars waterski team performed in front of an estimated 150,000 people in the city..
Water Ski Shows in Jordan! I will be returning to Aqaba, Jordan next week 9th May, for talks to finalize water ski show featuring the Stars Of..
Water Ski Show article about Stars Of Florida! click on each page to enlarge. 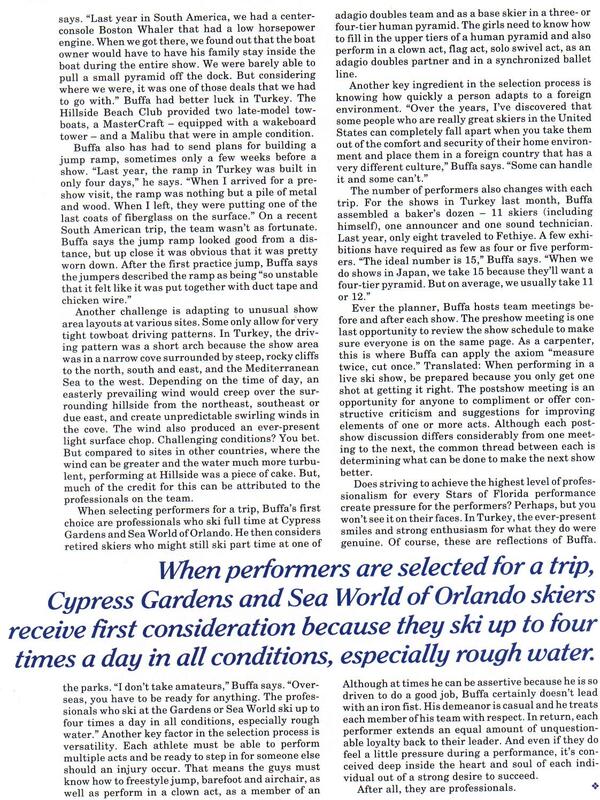 From 1998 Water ski show Mag. 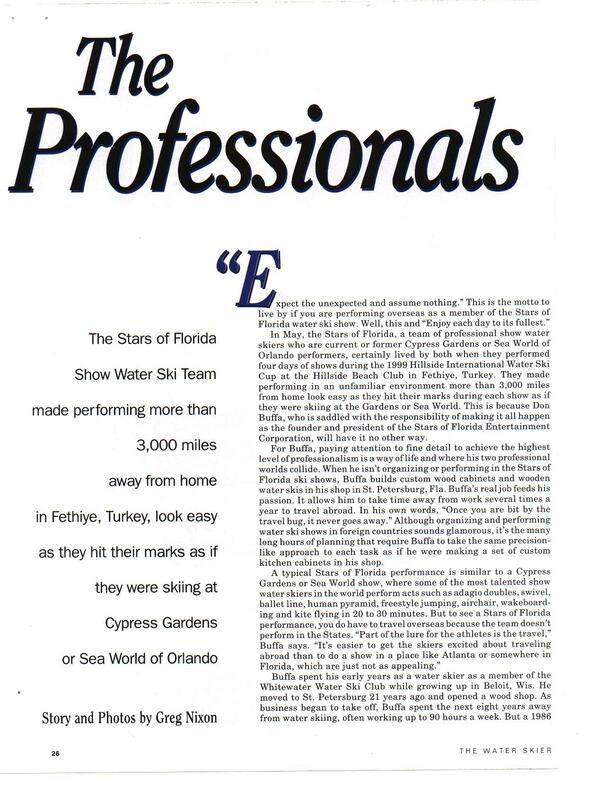 From water ski show Magazine article Stars Of Florida! Their mission was simple – to provide on-site entertainment..
Stars to be in Colombia! Stars back to Jordan, 2011.